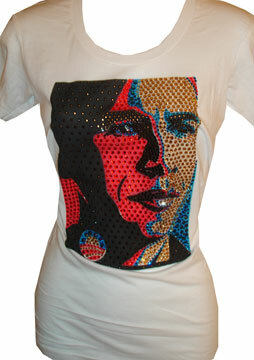 We are the ONLY site to bling a tee like this! 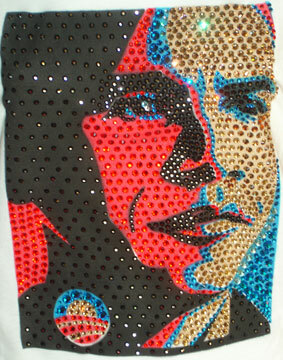 Over 800 hand placed, one at a time, swarovski crystals. What else can we say?ﾠ You can purchase plain or with swarovski crystals. No two shirts are the same! 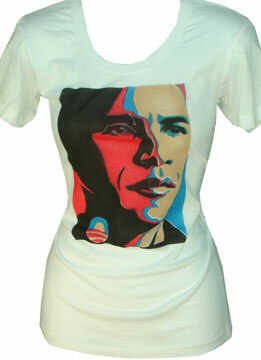 Plain tee's are $30.00 and Blingy tee's are $120.00.